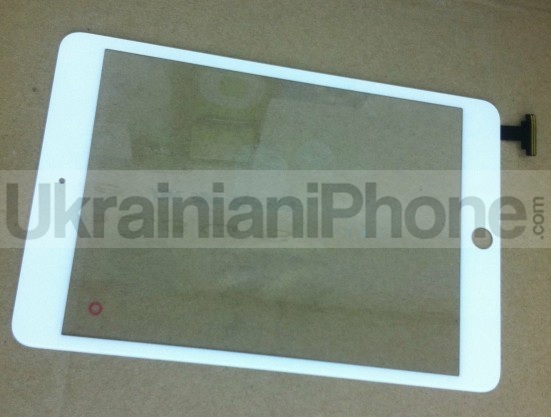 UkrainianiPhone shares several photos (via 9to5Mac) of what its source claims are parts from Apple's forthcoming "iPad mini". The parts include a black rear shell demonstrating cellular capabilities, as well as a white front panel/digitizer assembly. 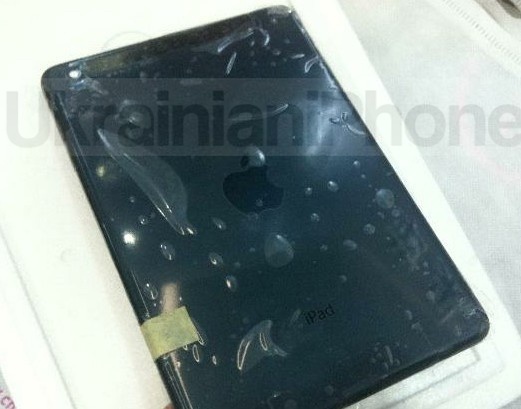 The photo set also includes a purported LCD from the iPad mini, but the part actually appears to be a Kindle Fire display. The site highlights a number of features on the rear shell, include a headphone jack at the top left of the device as on the full-size iPad, a plastic strip along the top edge of the part as seen on cellular-capable iPad models, a nano-SIM card slot and tray along the right edge, and a Lightning connector centered along the bottom edge. The white front panel and digitizer part shows the narrow side bezels that have been rumored for the device, as well as holes for the traditional home button and FaceTime camera. Apple is reportedly introducing the iPad mini at a media event scheduled for sometime this month, with one recent rumor claiming that Apple will be sending out media invitations on October 10 for an event presumed to take place roughly one week later. Black back? Carbon Fiber, maybe? Or like the iPhone 5? Really hard to tell by those pictures but the back doesn't look like it's been milled out of aluminum, like the iPhone parts. 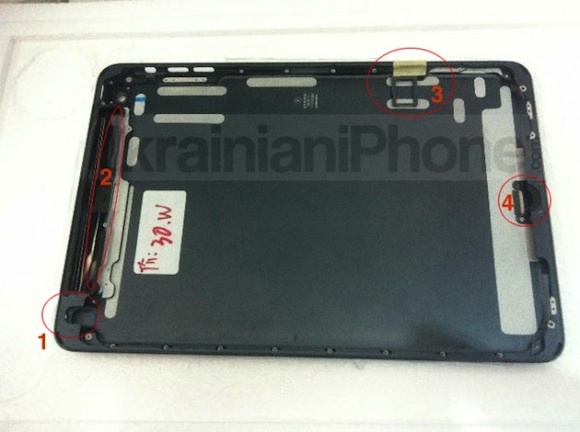 Maybe it's just stamped aluminum like the full size iPads. Just my opinion. "Here's some actual productions parts." "Here's an assembled, working product." "Here, I bought you one." "Skepticism fading ... slightly ..."
So tired of seeing iPad mini rumors. Wait, so let me get this straight. A Ukrainian snuck this out of Brazil?? The Nexus 7 is a nice tablet. I have one. But its biggest flaw - it doesn't run iOS. Not going to happen I tell you! That slate colored iPad mini would definitely be nice. Either they're anodizing the aluminum like the iPhone 5, or they've moved to a plastic back to keep costs down. No reason for the cutouts on the back if the back were plastic. Then stop reading an Apple rumor site?